There be new developments on the Ali Dizaei front, as a witness' real ID is questioned. The Baby P inquest is deemed unnecessary. Fire strikes for a second time on the Sceaux Gardens Estate in Camberwell. Seems Londons' cycle superhighways aren't quite as super as they're meant to be. Bizarre theft of the day: £70,000 of Nectar points by a Muswell Hill IT worker. 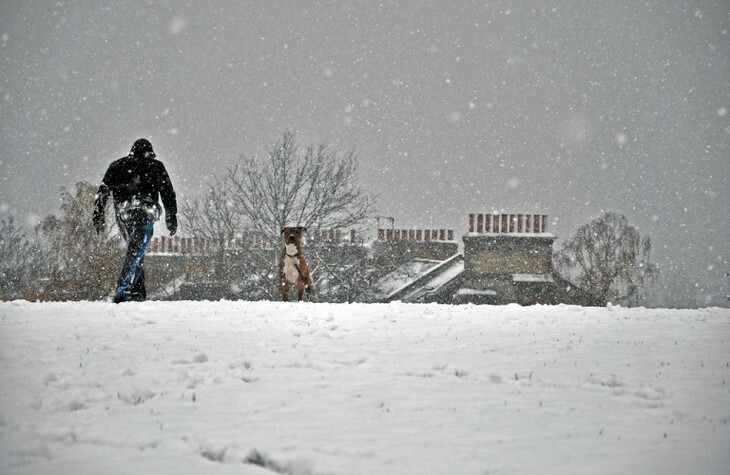 Man, dog, snow, by Alexandre Moreau via the Londonist pool.